Perfect for hanging Dutch ovens, tea pots, coffee pots, ect. Over a cooking fire, also can be used for lanterns, water jugs, and drying clothes. 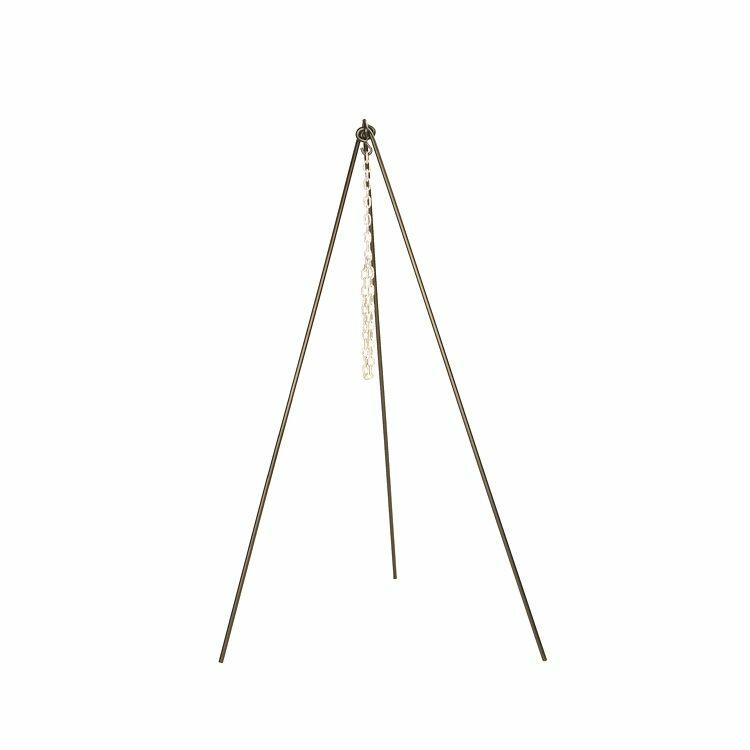 16 inch Camp Tripod Lead free, heavy duty solid steel construction. Sturdy three legs design for stability. Perfect for hanging Dutch ovens, tea pots, coffee pots, ect. Over a cooking fire, also can be used for lanterns, water jugs, and drying clothes.